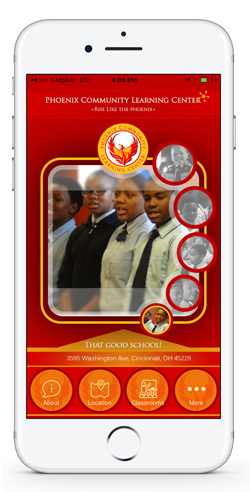 Dear Parents/ Guardians and Students:PHOENIX Community Learning Center (PCLC) is proud to be recognized as a High Progress School of Honor by the Ohio Department of Education in recognition of the excellent instruction our students receive. As the 2015-2016 school year begins, we are excited to have you and your family continue the "journey toward excellence" with us! PCLC is an elementary school built on the foundation of love and concern for all students. It is our responsibility to ensure that our students develop the knowledge and skills that they need to be successful as they move on to high school and beyond. Therefore, our curriculum is based on the challenging Common Core State Standards that prepare our students to be "College and Career Ready" for the future. A primary goal of PCLC is to promote the development of lifelong learners. We keep that goal at the forefront of instructional practices as we guide our students in learning the skills necessary to be successful throughout their lifetimes. Time can pass very quickly and before we know it our children are grown up and ready to go out and face the world as adults. It is our joint responsibility to prepare our students to take their place in the world as responsible citizens. PCLC classroom teachers are dedicated to creating focused, well disciplined, learning environments where children can develop as thinkers, writers, readers, mathematicians, scientists, and historians, etc. Here's to a wonderful 2015-2016 school year. Thank you for choosing to learn with us!Dr. Glenda Brown, Superintendent.